Kyphoplasty is useful for treating painful compression fractures in your spine. In a compression fracture, all or part of a spine bone collapses. This procedure is also known as balloon kyphoplasty. 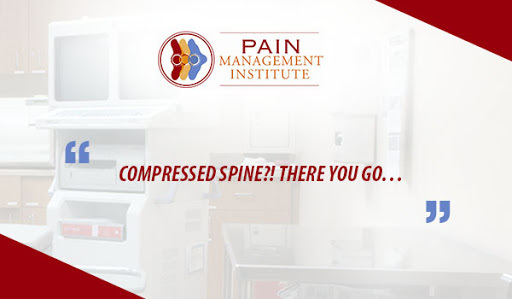 A compression fracture or a break in one of your vertebra can be very painful. It gets difficult to move and perform basic functions of life. That’s because a break can result in bone fragments rubbing against each other thus, causing pain. Surgery can be helpful for treating such fractures. For example, kyphoplasty and vertebroplasty are minimally invasive procedures that are often performed together. Usually, they can be done without a hospital stay. Like vertebroplasty, kyphoplasty injects special cement into your vertebrae, but with the additional step of creating space for the treatment with a balloon-like device. Kyphoplasty can restore a damaged vertebra’s height and may also relieve pain. As with vertebroplasty, the effectiveness of kyphoplasty is still under debate in the medical community and hence, you should discuss the risks and benefits with your doctor. At Pain Management Institute, you can achieve expert consultancy for your elbow problems. Dr Zaki Anwar is very experienced in interventional treatments. He is a world renowned Pain Medicine Physician and has been practicing ways to cure pain leading to serious problems for the past several years and has achieved remarkable results. Get his expert opinion by just making a phone call at 815-464-7212. You may face other risks, depending on your specific medical condition. Make sure to discuss any concerns with your doctor before you undergo the procedure. Your doctor will examine you, possibly by taking blood for testing and using X-ray or magnetic resonance imaging (MRI) to locate the fractures. Later, the anesthesia would be injected through an IV to either relax you and relieve your pain or put you to sleep. With the help of your X-ray, your doctor will intoduce a needle through your skin and back muscles into the bone, then inflate a balloon to help the vertebra regain its normal shape. He will inject the cement while checking X-rays to ensure it’s going into the right place. At the end, the doctor will remove the needle, with no stitches needed. You will spend time in a recovery room. You could go home the same day, but your doctor may want you to stay overnight if required. It’s likely that you can start walking in an hour after the procedure. You may feel some soreness where the needle entered your back, but this lasts no more than a few days. You may quickly notice that you have less pain than you did before the surgery. Take a constant follow up from your doctor about whether you should avoid any activities after the procedure. He may suggest taking certain vitamins, minerals and medications to help strengthen your bones and prevent additional spinal fractures.